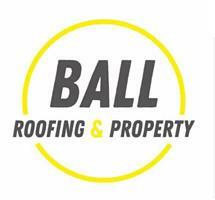 Ball Roofing & Property Ltd - Builder, Roofer based in Poole, Dorset. Hi, my name is Matthew Ball. My company Ball Roofing & Property Limited specialise in roofing and building and we are experts in high performance torch on felt systems. We undertake all aspects of roofing. Warm and cold roof construction, new build, refurbishment and repair. We offer construction, building and property maintenance services, and can provide outstanding tradesmen for any project. With a commercial, industrial and contract roofing background I am determined to take these high standards of installation and workmanship into the domestic market for the benefit of home and property owners. Please do not hesitate to get in touch with me for free advice and quotations on all your roofing and property needs.